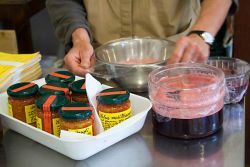 Jams and preserves of Bose are made with fruit grown in the community garden (exept for citrus fruits which come from Southern Italy). 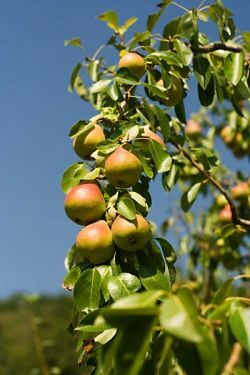 All the fruits are picked only when ripe, and are immediately processed. 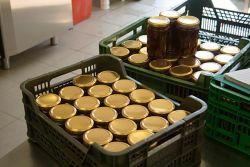 In this way we need to add only a very small quantity of sugar for the best results in terms of taste and preservation. We do not make use of pectin, or other kinds of additives and preservatives. For this reason our jams have to be kept in the fridge when open. Lab tests have revealed that no chemical residue is present in our products. All our products are on display in the hall next to the reception room of the monastery.